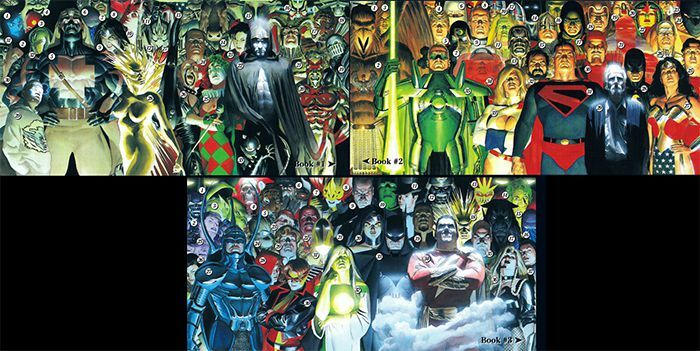 Kingdom Come is a limited ElseWorld series form DC that contains ideas that many comics where exploring in the late 80s and 90s. Namely the question of what kind of people superheroes would in fact be if they existed. What pressures were they under, and how would a real person react to them in those situations. The most famous of these is obviously "Watchmen" but across many comics there was a effort that we can now recognise as the growing pains of the medium during the effort to move from the childish Silver Age through the proto-modern age that some call "The Bronze Age". This was the time when comics were flexing dramatic muscle, trying to really probe the deeper feeling and motivations of the characters, rather than focusing just on action and adventure. This push for maturity lead to what I believe to be some of the greatest books in the history of the medium. This isn't one of them, but it doesn't miss the mark by much. The core of this story is about generational gaps between parents and their children, between the past and the future. In some ways the story is a representation of the growth in comics itself. From what some would call the naive comic roots to the period of time when this comic was published in the mid 90s. The 90s being at the height of some of the more extreme books coming from the publishers. 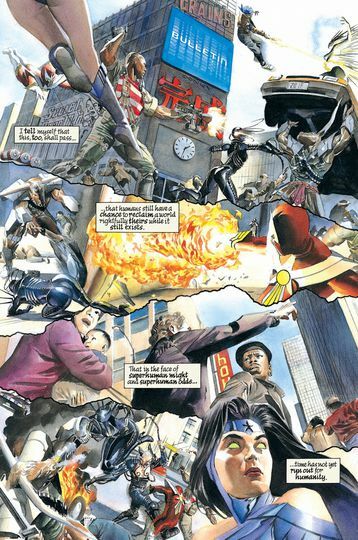 The world of the comic is populated with the children of the super-powered and the moral decay of society has lead to a lawless, a lack accountability. Heroes are ruthless and humanity is little more than ants. This is not so much because the new generation is "evil" but more because the values of the children have simply changed. The questions of whether this moral erosion is the fault of the children or the parents failing to teach proper values to them, is the key issue of this book and a key issue to everyone that grows to be a parent to see their own rebellion become the status quo to be rebelled against. DC has always trod lightly with the theme "Superman is a God" thing, "haha" you say, with raised eyebrows... but while that is very common theme now, this was the comic that really explored those ideas in detail long before it was so familiar. The entire plot of this is about how through fear and vengeance the human race surrendered justice for vendetta. Heroes became killers, judge and jury. No longer were super heroes extensions of the law, equal to man, but now they were above the laws of man, truly gods . Holding life and death in their hands and squabbling over who knows what between themselves and mankind being crush beneath them with out even being noticing. 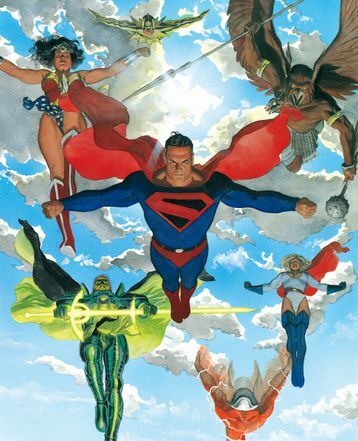 When events come to a head Superman comes out of retirement and reforms the JLA with the old crew and starts to impose his own ideals on the world. The classic Superman ones. Yet this is where the story really clicks. As the writers manage to have all the good guys do the good guys things and have them in fact acting exactly the same as those they wish to stop. There is a lesson in this book about limitations, about technology. Once a thing is invented it can not be just forgotten at will, and without limitation all actions are corrupt. The entire story is told through the eyes of a human guided by Spectre, who is probably one of the hardest DC characters to get right, and this story gets him right. Also his role in this is so perfect for this story. A story about power, corruptions false gods, hope, humanity and then there is the Spectre. An actual force of a higher power, a legitimate "real" god... or at least a messenger of one. Judging all. It is just awesome. The inclusion of Spectre gave the tale a more mythological feeling. He moved focus from the heroes and elevated the reader above everything into a top down view of the story. Were we, like them, sat in judgment. The book is really about the readers thoughts on the matter. This is not a comic for the DC uninitiated. The cast is colossal and as it is set in the future where everyone is in there 60s or older, many are not recognisable to those that consider themselves well read in this matter. Added to this is that they all have costumes that ring bells of the Golden Age. This is part of the subtext commentary on the state of comics itself. Set along side that is these garish horrible designed that are undeniably modern, or well, undeniably 90s a period with some truly horrid costumes. So unless you know your DC Universe pretty well I think there is going to be a lot you may not recognise, and plot points you might not even see. If all this sound vaguely familiar, you might be thinking of "Marvels" a book by the same artist set in the Marvel universe that came out first that explores very similar themes of humanities place among the gods. Marvels is a fantastic comic, but I can see Alex Ross working on it as its Artist and wanting to do more with this topic. 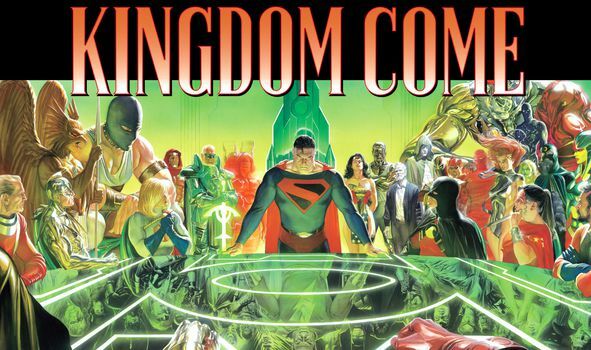 That is Kingdom Come. A more thought out and deeper experience than Marvels, yet defiantly related. 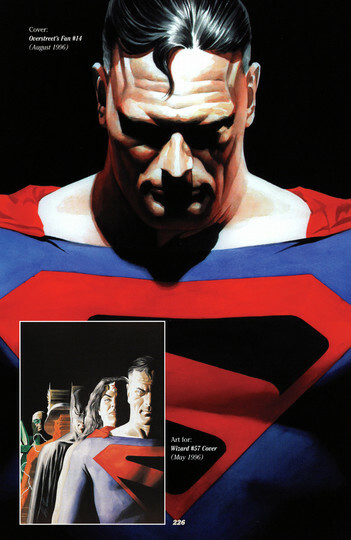 Speaking of Alex Ross, the art in this is off the chain awesome. Verdict - I STRONGLY recommend this book. This is reaching for the same basket as Watchmen and gets darn close. Like Watchmen it has an almost sad nostalgic feeling to it even though it is basically a love letter to DC and the stuff that could possibly drive that universe under its the hood. Yet it is dense reading and low on action. Though by the time the action comes it is epic with a capital "E". Not the master work it aspires to be, but none the less is a book that is going onto my physical shelf. This is the highest honour I can bestow.